"RingDNA Over Exceeds Expectations! You must try them!" Their platform is so easy to integrate with salesforce. I've tried numerous different platforms that supposedly integrate with salesforce which don't work or slow down salesforce to the point you do not want to even use it. From the moment I contacted ringDNA to my three years of being a client, I've been impressed with their sales team, onboarding, and support. They are one of the few platforms our company has used that I can say has been truly seamless. Most of all their team is exceptional. Everyone I've contacted is always there to help and in any case they don't have the answer, they will find someone that does. They go over over and beyond what is necessary. Nothing. I can truly say that nothing comes to mind. You need to call and talk with their sales team. They have been so helpful and I'm so thankful for using their platform. We love the use of Local Presence when making outbound calls. Since we work with clients all throughout the country, being able to show a local number when calling on potential prospects has been so helpful in getting people with a different area code to pick up the phone. Also, the seamless integration with salesforce without making it slower has been a breath of fresh air. Tracking and making all phone calls within salesforce has been a huge help to our sales team.
" Very helpful, user-friendly program with a great support system." I like ringDNA's simplicity. There are a ton of use cases for call flows, and data that we need to pull on a regular basis. We are able to pull any sort of reports needed, either via Salesforce or ringDNA reporting, which is great for training purposes. This simplicity also makes it easy for reps to ramp quickly and learn the phone system quickly. My only dislikes with ringDNA have to do with functionality. I do wish there was a "call coaching" or "whisper" feature that allowed me to speak to a rep on the phone, without the client hearing. Also, it's a bit difficult for reps to conference call or set up 3-way calling when needing to include multiple people. The main reason we are using ringDNA in our organization is accountability. The system has enabled us to not only track our reps' day-to-day activities, and ensure accuracy since calls must be logged with a disposition, but also the recording feature ensures we have the ability to coach to specific calls and dialogue within the conversations they are having. This is of course very valuable to maximize the potential and ROI of every position here. "Excellent Support for Mission Critical Service"
"It just works." From day one, RingDNA has had a simpler onboarding process, easy interface, and superior end-user experience than other providers. When something goes awry, their Support team is quick to respond and solve issues without headache. With other providers you feel like you're just a Support Case Number. With RingDNA, it feels like you're dealing with a smaller shop who has a vested interest in your success with their product. The VOIP backbone that RingDNA uses has only gone down once for an extended time during our use (1.5+ years thus far). During that down period, Support was slow to respond (though that was for understandable reasons, as their entire client base was down for an hour or so). Otherwise, there isn't anything to dislike. Don't fall for the flashier marketing materials from Five9. RingDNA is a workhorse that will give your organization all the tools it needs to thrive, with support that is second-to-none. We run the entire sales side of our business through RingDNA (via its Salesforce integration). With their advanced call analytics, we can run metrics to determine salesman performance. With their call recording and transcription services, we can run more effective training sessions to improve those sales metrics. By combining our raw analytics with the play-by-play that recordings and transcribed breakdowns of those minutes provide, we have greatly improved our sales team's objection handling. Our business thrives because we always focus on improving ourselves everyday and RingDNA has been a vital part of that improvement. "We have been a client of RingDNA's for a few months, and they have met more than our expectations!" We have been impressed at every turn. When we have had a policy that needs to be implemented through their dialer, they have always made an effort to deliver. Even if our needs are not currently part of their model, they will raise the question to their tech team, and inquire as to how they might bring this idea on board. They have not been able to fulfill our request every time, but the effort is always made. There are a few items in their texting platform where we would like to see functions added. Our inbound calls have been seamless with RingDNA's call flows. As well as the simplification of working through our lead lists just utilizing the dialer through google chrome. And most importantly, we have noticed how simple and easy their dialer is to use. We have had few questions for their support team, but when needed they have been hugely helpful and responsive. Today one of the IT experts changed our response time immensely by launching their web leads platform into our system. It will change how quickly we respond to our leads. We have a 5 minute policy to contact new leads. Their web lead platform makes this possible for sure! "Great product. Easy to use. Good support. " The tool has a very clean and easy integration with Salesforce. The admin UI is intuitive and easy to understand. The agent UI is also very clean and easy to understand and use. Their support team has always responded to my questions same-day and are always willing to get on the phone and help you out with something if needed. Everything is stored and reported on in Salesforce and metrics are accurately tracked back to Salesforce records. There are a few niche features we were looking that they don't have, but no product contains every single function. They take customer feature requests seriously and work to provide their client's with what they need. Automate the collection of all phone and SMS data for the sales team. We can cleanly report on call activity in Salesforce which has allowed us to instantly identify areas for improvement as well as areas of success when it comes to customer engagement. Click to call from Salesforce has also been a large time-saver for our high-volume outbound sales team. RingDNA is straightforward and powerful. The dialer plugs into salesforce, so it's possible to essentially work completely out of the dailer while still taking notes, making follow up tasks, etc that are all logged in your CRM. This allows me to get into a flow when I'm working and move through my day quickly. Additionally, their support team is ridiculously good. Fast and extremely helpful. At this point, nothing. I had some gripes in the past but the support team is so fast and so helpful that I've got no negatives at this point. We needed a solution for making outbound calls. RingDNA allows us to do that while easily plugging into our CRM. It's smooth so we can work quickly, and customizable, which allows us to mold it to our process – this is HUGE. "Great process, support and functionality "
The ease of installation and overall sales process. The whole team from start to finish was supportive in making sure we understood the workings of telephony systems. We didn't have support in-house to help get this off the ground so Raja and Kavin really did everything they could to hold my hand. We're a phone heavy team, so being able to fly through numbers and lists has been key. A number of other products I've used have made it difficult to easily load a list and get going. Reliability is also a huge plus as well! Workflow at times. We haven't been able to figure out how to get a frictionless system to integrate emails and other touchpoints managed through RingDNA. You can email directly from the app, but then you'll need to update tasks, etc. Having some sort of cadence option that's in between where they are today and what we moved off of (SalesLoft) would be great! I also wish there was a whisper mode in the coaching functionality. Our SDR team uses RingDNA to manage their workflow. Since using RingDNA, they've been able to focus on drilling down call lists efficiently without any additional steps as required by most dynamic dialers. By being able to manage their own pipeline and tasks, reps have had an increase in their business acumen and overall conversion rates which doubled last quarter. "Quickest Phone System Configuration for Salesforce"
The initial setup required a managed package to be installed and a Chrome Extension. This took less than 10 minutes to complete. Configuring call routing flows, groups, and new users is rather intuitive from its web console on app.ringdna.com. It does have UI limitations for creating new records if you have required fields on your Leads & Task Objects. The UI does not allow for other standard or custom fields to be included in its new record forms. There are some consistency issues with Editing and Saving in different areas on the web app. Some areas autosave while others require you to press Edit and Save. This can cause confusion while setting up changes and leaving the screen, sometimes losing your work. This is being addressed however in a beta release that I've been able to view. We are generating new leads from incoming calls, qualifying them, and routing Warm Leads to representatives for callbacks. "Simple to use, hard to not get help, very quick setup!" Their support hands down is the best.. There are a lot of good things about their service; but their support is hands down amazing. We dont dislike anything really... there are things that we don't like but its not because of RingDNA.. its because we are trying to use multiple phone systems with RingDNA and there are issues where our outdated phone system just doesn't play well. if you have any doubts, speak to their support team because they can most likely figure out a way to accomplish what you want. their support is amazing. Call Quality, Clear call recordings, Call transcriptions, Voicemail drops, text messaging integrated with the phone system (versus using multiple services), better logs in SF, dialer integrated with SF to make it easier to correctly log notes to the correct record in Salesforce. RingDNA has given our MDR team complete control over our calling/prospecting process. Not only do we have the visibility into the impact we're making on a daily basis, but we're also able to hold our reps accountable to their own sales strategies. Because of our unique setup, we didn't receive any benchmarks to compare our team's success to -- our first month of roll-out was mainly focused on identifying the limits of our team's abilities in the tool. 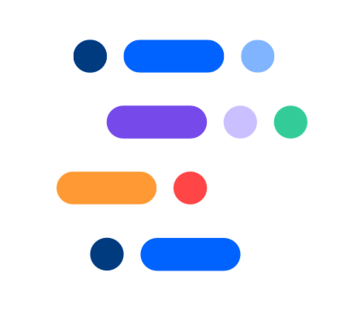 We are gaining complete transparency into our outbound/inbound calling efforts -- our previous dialer didn't allow us to "connect the dots" of our top of the funnel pipeline generation. Today, we're able to see exactly where our impact is being felt. "Clean, crisp and uncomplicated, but wish I was trained on the many features i'm yet to unlock." The data that can be reviewed at various stages in the call cycle. Being able to go back and listen to calls at a later date by simply flagging them with a particular disposition when the call actual happens. Minimal effort, doesn't cause any extra work and yet provides valuable feedback to improve. Initial training on product. I know there are still many features than could be useful that i'm yet to be introduced to, let alone trained on. Not sure if this is the responsibility of Ring DNA or the employer but more knowledge on the products features could vastly improve its usefulness. Sales development. Improved call review. Accurate tracking of call data. All of these can be used to make more impactful and successful sales calls to customers. Quick and easy ability to call through lists of customers without moving away from the Ring DNA screen helps to increase call volume. "Amazing Customer Service / Customized Experience"
I love the fact that our RingDNA reps are highly responsive and love hearing feedback to constantly look to improve our customer experience. They'll hear our limited gripes and act on them quickly. They continue building new features and products like the Conversation AI Platform, SMS messaging, and management reporting, call recording, etc that elevates our sales team. Very easy to install as we grow our sales team. Nothing to complain about! A service outage once in a blue moon but the Support Team at RingDNA is always on it and communicating in real time. We can trust that they're on it in a speedy manner and they provide accurate estimated timelines on when it will be fixed so we can prioritize other tasks. If you're comparing products to RingDNA, evaluate the call quality, ease of use and call transcriptions services. RingDNA has the best support team and works with each of its customers to customize solutions if possible to build on its customer and end-user experience. Call Quality is better than competitors, Clear call recordings w/ easy user experience, Conversation AI Platform for efficient and effective call coaching, Voicemail drops for efficiency, logging notes and events in SFDC for follow-ups. Their customer focus nature is by far one of the strengths that separates RingDNA from its competitors. Kavin and Kanwar both are very receptive to feedback and responsive when we have ideas or slight issues on how to improve our relationship. Highly recommend! I like the user friendly nature of the platform. We switched back to RingDNA from another provider after realizing that you can't take reliability and user friendliness for granted with these apps. The customer service was also great, Jordan held our hand throughout the on boarding process. I wish the software had a robo-dialing offering where we could dial multiple numbers at a time. Otherwise there are no problems that we have experienced with the software. If you focus on outbound calling, RIngDNA is ideal due to it's ease of use, reporting and call recording capabilities, and local presence dialing options. Customer service is excellent also. We are able to contact more leads through Local Presence and better monitor our calls each day with the recording and reporting capabilities of the software. The amount of time I have already saved from not manually logging each and every call, call disposition, set f/u tasks. About 5-10 minutes of work has been shortened to about 2 minutes. I didn't even realize that with every VM I left manually, took about 2 minutes alone. VM drop is amazing. Connecting our phones correctly has been the biggest challenge but that is because of how our phones are set up. Once we got past that it was fine. Productivity has increased. Before ringdna it felt like we were "stuck" due to the manual processes, always felt we were behind or not contacting leads enough. Now we can zip through those calls. I like having a small Ring DNA Window that I can set beside the calling list I am working on and I can literally click through dial, log a call and leave either my own message or one that is prerecorded. I don't like that I have to have the phone ring back to me on each phone call. I would like to be able to have the phone ring back to me once and then clip through the phone calls (small detail), but way more efficient than dialing each number one at a time. I can get through way more calls in a day, less room for skipping someone and if you forget to log a call, at least the fact that they were called is noted to avoid duplication by myself or partner. "RingDNA great for managers, but not for users"
RingDNA is nice since it has all the needed tools to make notes, call disposition and easy voicemail drop. That's saves time on each call for sure. I dislike the delay and sound quality on the calls. I used Skype for Business first, now I'm using X-Lite instead. It's a pain to dial in RingDNA, then pick up the call for each outgoing call - it's a lot of extra work. Also, since it only works in Chrome, I can't use my iphone to make calls when working remote - I need my laptop always so the calls are counted towards my daily dials. Also, click-to-dial only works in SFDC, not from emails. It's does keep track of my calls pretty nice. It also log the calls in SFDC which is great for metrics too! "Improving Our Efficiency By Better Tracking Our Activity "
The blending of the RingDNA software with our CRM has made it easier for end users to communicate with clients by reducing redundancy in logging activities and better for leadership to identify ways of improving service delivery overall. It is simple to use and as a team that specializes in communication with our clients - it had sped up the process of getting our clients on the phone and vice versa. The measurables are personally my favorite; there's no better way to show accountability than the data that RingDNA provides our organization. As an organization built on developing client relationships - it's tough at times when calls are dropped or difficult to comprehend due to a variety of issues. Regarding overall workflow, there are several clicks to be made to ensure the best information is being recorded. Would be great if the application featured some process to ensure that everything was captured correctly such as a cadence option. Having a slide by slide of simple clicks could smoothen the process of teaching it to a new employee! Ensure your current software is compatible and any hardware you have is up to date! Our team uses RingDNA to communicate with clients in a frictionless manner. With the software, we've been able to reduce 'clicks' per contact significantly with the use of RingDNA auto syncing the data to the client's record. The result is that this has enabled our team to define their workflow better and simply do more with less administrative effort. Getting through call lists and recording the information has been a breeze! The benefits are that there is time saved for our staff which allows them more flexibility elsewhere. From the perspective of process improvement, RingDNA has enabled us to drill down on some problem areas, highlight trends really, and better define our overall order of business. In the end, the more clients we can reach daily, the better we maintain our relationships and keep our staff engaged without burdening them with administrative tasks related to logging calls. RingDNA provides so many avenues to help make our roles more efficient, such as being able to log notes while we are on the call. I also appreciate being able to reach out customers in other ways such as text messaging, when so many people are too busy to talk on the phones today. Having these tools at our fingertips allows us to increase two communication being established; key component to finding success in our roles. At the moment, there is not anything I have found to dislike. We have had issues with our phones at times in the past, which has prevented us from even being able to make calls. Now, with RingDNA we no longer have to worry about that. Additionally, we are able to monitor and coach our reps faster and reps are able to make calls and log notes more efficiently and frees up time to reach more customers. "Great support and a smooth transition"
There is so much more data available for us to run reports in Salesforce compared to the last phone system we used, so that had been a huge benefit to us so far. Our goal is to improve our sales process as much as possible, and this has been a huge help so far. We just recently implemented the system, but the onboarding process was fairly straightforward, and most of the sales reps using the system were able to catch on fairly quickly. There are a few bugs that we can't quite figure out, but we are still working to resolve them, and the RingDNA team (specifically Kavin Chawla) has been great! The main issues we are experiencing right now may have something to do with the way our phone system is configured, as well as the fact that we're on a bit of a learning curve. We are working through them though, and the list has continued to get shorter and shorter, which is definitely progress! Inaccurate call data - streamlining Salesforce with our phone system. We now have the ability to actually use the call data, notes and time stamps to run quality reports. "RingDNA is a transformational tool for our sales team"
RingDNA has made it super easy for our sales team to listen in on calls for training purposes, join calls much faster than joining through our conference bridge, and best of all, go back later and listen to the call to catch the comments prospects and customers make that were hard to capture by taking notes on the fly. This lets our team focus more on having an organic conversation versus feverishly taking notes. The result is that our follow ups show that we listen better and we don't miss anything. We also like that it doesn't run inside of Salesforce since we all tend to have a lot of tabs open and that would slow down the computer drastically. A small issue but since RingDNA uses Chrome, if you swap headsets or disconnect/reconnect your computer, sometimes you have to relaunch RingDNA. We used to write vague follow ups and after so many calls during the week, we would forget what we heard often. Also, if a few weeks or months go by between calls with prospects, we can re-listen to calls and regain context that was long ago forgotten. "One Stop Shop for All Call Needs"
RingDNA has the best support team ever. They are incredibly responsive and willing to walk you through anything. They are able to set up call queues, make outbound dials easy, and smart number creation is wonderful. Nothing --it's the best phone system I've ever used. Don't be afraid to reach out to support! They are incredible. I have set up a call queue and full IVR for a customer service line. It makes inbound calls and voicemails so easy, and I have a lot of control over times we are open, holidays, and IVR manipulation. "Effective Dialing Extension for Salesforce"
The local presence mixed with the one click dial in SF and the easy note taking is certainly a huge benefit to those spending a lot of time on the phone each day. Simple and intuitive tools. The tedious aspects of leaving effective CRM notes are alleviated via RingDNA. Simple click-to-dial with rules in place to assure your team leaves detailed notes, with easy drop down menus to save time. Sounds simple enough, but this is the first program I've used in 6+ years that was actually simply to onboard, and KEEP using. Personally, my favorite feature is the instant voicemail-drop. Sure, this doesn't apply to all your calls but if you're inviting folks to an event or simply doing a call-down campaign, you can save so much time just by dropping the vmail as soon as you hear *BEEP* and moving on to the next one. Occasionally get logged out at weird times... never while on a call but I'll be inactive for a random period *(~10min) and have to log back in, though that could absolutely be our SSO provider. "Very Efficient and Excellent at keeping sales individuals organized." The local number angle and tracking of calls. In today's era it's great to be able to seem like a local support from no matter where I'm calling. It's also imperative to help track those calls. Sometimes it will not allow you to make the next call until you type in extra information. Or have an exact match for a number. It is helping me keep track of what companies I have called and contacts. I also love the fact I can have a number of the geography I'm calling. "It's a useful tool, better than using a separate phone and messaging system. " Better than using two products. I like that you can use it to text and call, as opposed to one or the other. I am happy with the notification features, and would recommend it to anyone interested in making their day more efficient. I am not able to hit 'return' to send messages. I am also not able to group text. If I were able to do that it would increase my efficiency in my business. I have to contact over a hundred people a day, I can multi-task by texting my technicians and talking to others on the phone at the same time. The prompt support we receive from technical and account management teams makes us think of RingDNA as a trusted partner. The overall experience, from product to service is 5-Star! Not much here. Initial teething issues we handled by their onsite visit. Capturing sales development reps' efforts and outbound activities at the top of the funnel. In terms of benefits, manual data entry of outbound calls by sales reps is minimal, and the organization is able to standardize metrics and KPIs around outbound calls. I love that I am able to send text messages to prospects right from my computer. Every now and then it will log me out in the middle of a voicemail, it has happened twice in 2 months. It's worth a shot, this is the 2nd VoIP system I've used and I like it a lot. While using liveops, we weren't able to receive voicemail or have any notification if a prospect calls in. With RingDNA I'm able to receive voicemails and even see the salesforce information when someone calls in, not just the number. I like the automated functions. The voicemail drop function frees up my time to better sell prospects that we connect with on the phone. The ability to text people and put push notes from the panel into Salesforce makes my everyday workflow much more efficient. A large portion of activities that were manual before can be automated. It's has freed up time for productive tasks. "Simple and great integration with Salesforce"
The best thing about it is the integration with SF, eliminating a lot of the intricacies of SF at times. I also like the way it is so easy to open and requires little to no effort into signing in with company's VPN. Sometimes has bugs and crashes; latest call doesn't pop up. It would help if it didn't crash at times and record call history a little better with its integration on Sales force. not spending a lot of time on SF therefore being able to reach more prospects and widen clientele. "Our experience withRing DNA over the last three years has been excellent." RingDNA has been a very effective toll to help increase the efficiency of our Sales reps. Every call is automatically logged into Salesforce.com and it helps the team to follow up accurately with their clients. The integration with Salesforce has been excellent as well. We also leverage the Local Presence feature that has increased the phone pick-ups for our reps. I would like to see a good Cadence tool that might come.with RingDNA. Our reps are making 15% more calls since we have implemented RingDNA. "Constant innovation for an easy to use power dialer"
Nothing to really gripe about. The one thing that is somewhat cumbersome is when clicking a prospects email, it never opens in outlook.It opens in a web browser. "I can't thank this product enough"
I spent an entire month of my quota bearing quarter trying to find a calling solution for our SDR team. Certain products were just too robust and confusing. We needed reliable, quality calling with the calls being logged to Salesforce. Then ringDNA came around and, no joke, I made one call, checked the lead's salesforce record for the logged call, and literally started dancing in office. The UX is everything we need, and nothing we don't. The call quality is really strong, and reliable. Click to dial is so fast and easy, it is one click, not click to click something else just to get to a menu to dial. Another great feature is how the lead's status and activity history shows up in the ringDNA window. There truly is nothing I dislike about ringDNA. It solved all our problems. At least give it a try, I can honestly say it solved all issues we had with other vendors. We are making calls like never before. The ease of use has led our team to reach out to more people, in less time. We no longer have to go into Salesforce after every call to log it manually. "Very efficient calling tool. You have the ability to choose when and who you want to call." My favorite feature is the local presence feature and it talks to SalesForce. Sometimes, I have issues with prospects not able to hear me clearly or well. Sometimes, i have prospects tell me that they cannot hear me or it sounds like i'm scratching out. The ability to connect future prospects with our Regional Executives to have a business discussion on the benefits of Concur and how much we can help their organization. Excellent Customer Support and Response Time. Clearing Cookies usually solves issues for this browser based App. Links with Salesforce, updates fields, attaches recording and history activities. Excellent Call Monitoring and Call Dispositioning. Overall it is a superior tool. Dislikes are short lived, RingDNA always resolves the issues in a superfast timely period within lifetime of a Mayfly. Both Inbound and Outbound Calling Solutions, Great History Activities for Excellent Reporting. "good and bad experience with RingDNA"
The ability to call from local presence also it records your calls and integrates with salesforce so you are able to click the number and it will ring your phone. You also get a unique phone number so you can use your cellphone as your work number. Not great customer support but its a useful tool for sales teams needing to call and keep track of prospects. No need for company telephone, easy dial ability, ability to listen to phone calls and documents in salesforce. we also are solving the problem of people answering because more answer to a local presence. Thanks for the feedback and so sorry for the issues you've faced. We want to resolve those issues. To that end, can you please email our support team at support@ringdna.com? Please also copy me kanwar@ringdna.com and I'll make sure it's followed up ASAP. Honestly nothing so far. We have been using RingDNA exclusively for 3 or 4 months now with no issues. Get it. I've used SalesLoft, Jabber, and other dialers and this is by far the best. "Best dialer I've ever used"
I love how responsive the Salesforce integration is. RingDNA allows us to work quickly and efficiently. I also enjoy how easy it is as a manager to monitor calls as the team is working and how convenient it is to pull a RingDNA call recording via Salesforce. Every once in a while, we see issues with call quality. We are using RingDNA as our dialer. It has already provided us so many benefits including efficiency, insight, and oversight. "Great Product and User Expeience - Very Powerful Tool"
The setup was quick, easy and painless. I love that the product is a standalone extension and does not get intertwined into our systems. The fact that the program is an overlay worked out very well for us given the complexity of our use case. The team was FANTASTIC to work with and delivered on our objectives! I am a huge fan of partnerships and we got exactly what was promised to us from day one. Given the use case and our complexity, we haven't been able to take advantage of some of the bells and whistles that we would like to (call recording, stay connected). However, we are working with the RingDNA team to turn these 'wants' into 'haves'! Be very clear about your use case and what you are looking for. RingDNA is fantastic to work with, works hard to understand the needs of its customers and delivers on their promises from start to finish. Local presence mostly but utilizing the platform to find time and cost savings. We have seen our pickup rate double in a short amount of time, our users love the conferencing features and voicemail drops as well as the reporting insights we have gained thus far! "Useful product and fantastic service"
I like the flexibility of the tool itself. I can use it via desktop, cell phone and choose between a variety of phone numbers and call features. The service is also fantastic. I had a connectivity issue during onboarding because of my adblocker, they were very responsive and helpful in a timely fashion. I am undecided if the pop up window is a better option than interacting within the plugin itself. No real complaints so far. We tested 4 voip providers in 8 months and finally decided to move forward with RingDNA to solve connectivity issues, call drops, call forwarding and local presence problems. It has been great with mobile and integrations. "An Amazing Tool With Great Support!" RingDNA gives us the flexibility to incorporate our existing workflows into one hub, making it easy to log conversations into our CRM and adjust followups accordingly. Some limitations with RingDNA and our CRM. Sounds like they are working on expanding capabilities. Utilize the support during evaluation, they are very helpful. We've cut our time logging calls in half by using the RingDNA interface to quickly move between records and document conversations. Increased efficiency in workflow. I can spend less time on admin work and more time actually doing my job. "Best application to train and develop team's calling skills and quality"
As a manager, be able to listen to your team's call live, rather than listening to recordings. RingDNA is linked to Salesforce for my company. If you are not logged in through Salesforce, the calls don't log. This is more of an internal issue than something directly related to RingDNA. If you are customer service focused and make a lot of call that require quality assurance check, this is the way to go!! Training, development, customer service. The benefit is a better end user experience. "I like the way it works." It is easy to use. I love the Sales Force integration. I wish it suggested records to tie the call. Make that part easier. Not really solving a business problem. I think RINGDNA doesn't make a difference in my current role because I cover the PNW, and I am based in the PNW. I can see it being beneficial to my colleagues based here but cover New England. Not having a power dialer list like some of the other solitons have, but I believe they are coming out with it soon. Pick-up rates have gone up through the roof since implementing the automatic local area code dialing feature. "Great Tool for both Sales team and leaders alike"
"Cheap and easy to use software however quality issues." We've been using RingDNA for a bit over a 2 years and have been really happy with it as a young startup looking to have our first calling system. This is a cheap software that integrates really easily with salesforce. With the intuitive click to call dialer it's really easy to navigate salesforce and call any object really easily (standard or custom). RingDna has a lot of default reports that are easy to setup and use. The team is extremely friendly and has been really helpfully. Unfortunately the call quality is poor and with our new teams around the world we have trouble maintaining call quality universally. We have a lot of choppy calls and dropped calls. The auto dialer is really good however sometimes has trouble identifying the object to attach the task with. Despite the great Salesforce integration there could be some improvement around the salesforce activity creation. The tasks are solid however it would be great to get a little more customization. It's a great software that can offer a an easy to setup and easy to use solution however need improvements on call quality. We are using the system as our calling system for our customer success team. Cold calls and account management. The major benefits have been the flexibility scalability and reporting. "Implemented RingDNA to help track client communications." Product is very easy to install and setup. Admin tool is easy to use as well. The best part of all is the 5 star support that is provided. Contacting RingDNA support via email and getting any followup questions answered is a breeze. Any issues are also resolved in a timely manner. A few users have reported occasional call quality problems. RingDNA helps better track all Client communications as well as save time logging them. Even missed calls/texts can be tracked/accessed. Improves productivity of our client specialists. "RingDNA - the seamless way for sales teams to make calls"
Super easy to use. Click to dial is immediate which helps save time. The best feature in my opinion is the call forwarding - if you are on the go or like to walk and talk, you can click to dial from your desktop/monitors and within 2 seconds your call is transferred to your cell. Really like how any notes you log in the call are automatically synced to Salesforce. Sometimes there is a bit of a lapse for the call forwarding, but usually solved by hanging up and calling again. I'd also like an actual app to open for the platform vs another chrome window. Simple ways to make calls - I save so much time not dialing numbers for every call I make. RingDNA provides a seamless process for dispositioning notes after a client call. It has eliminated the need to return to a record to "log" calls and notes. I dislike that RingDNA does not keep me signed in once I am signed into SF. Easy of reporting and desktop notifications. * We monitor all RingDNA reviews to prevent fraudulent reviews and keep review quality high. We do not post reviews by company employees or direct competitors. Validated reviews require the user to submit a screenshot of the product containing their user ID, in order to verify a user is an actual user of the product. Hi there! Are you looking to implement a solution like RingDNA?